The Magpie Salute have announced the release of their hotly anticipated debut album, a self-titled record which will drop on 9 June through Eagle Rock Entertainment. 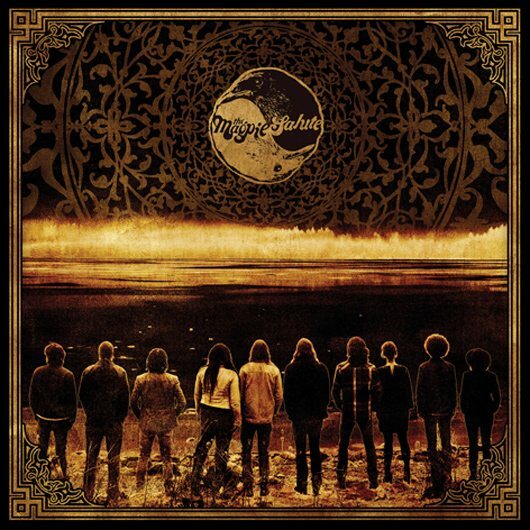 Largely recorded live in the studio, in front of an audience at Applehead Recording in Woodstock, New York, The Magpie Salute sees former Black Crowes guitarist Rich Robinson step into the producer’s chair and reunite with many of the former bandmates who recorded classic 90s roots rock albums such as Shake Your Money Maker and The Southern Harmony And Musical Companion. As well as reigniting the twin-guitar magic that Robinson tapped into with Marc Ford in the Crowes, The Magpie Salute also stands as the last recorded work by Eddie Harsch, the late keyboardist who passed away in 2016, aged 59. His signature playing is crucial to the band’s sound, and makes the album a fitting farewell for fans. Also joining the fray are former bandmates Steve Pipien (bass), drummer Joe Magistro and guitarist Nico Bereciartua, while the album boasts the fine vocals of John Hogg, former Crowes singer Charity White, and background singers Adrien Reju and Katrine Ottosen. The explosive results are the work of a group of musicians who, having played together on various projects over the decades, share a deep musical bond. With such wide-ranging roots there’s also a musical freedom and diversity you would expect from such expert craftsmen, who, on over half of the album, stretch out and experiment on songs that clock in at over seven minutes. Following a number of well-received sold-out dates at The Gramercy Theatre in New York in January, The Magpie Salute are ready to make their bow in the UK with four back-to-back shows in April. The band will take the stage at Under The Bridge in London, with the first of the dates already sold out and tickets going fast.